Sharing is a good thing to do. That’s what your mom always told you, and it was the law of the land in school. When it comes to medications though, sharing is never a good idea. In the case of a California woman, it was almost fatal. Yaasmeen Castanada was coming down with a cold on Thanksgiving Day. A friend offered her an antibiotic she had left over from a previous illness to help her feel better. Instead, Castanada developed Stevens - Johnson syndrome, a severe drug reaction which causes the body to basically burn from the inside out. All of Castanada’s skin has now blistered and peeled, and she has a long and painful recovery ahead of her. Her mother, Laura Corona, says she hopes others will not make a similar mistake. “Don’t share medication. Don’t give someone else your medication. Don’t offer medication,” she said. While Castanada’s case is rare, and severe, there are other risks involved in sharing medications. “While it might seem like a good idea to share prescription medications, there are many risks in sharing medications and besides, it is actually against the law,” Barbara Crouch, executive director of the Utah Poison Control Center. All medications have inherent risks and the balance of benefits and risks will vary by individual. How we respond to a medication in a good or bad way depends on our own genetic make-up, our overall state of health and the medications and supplements we take. 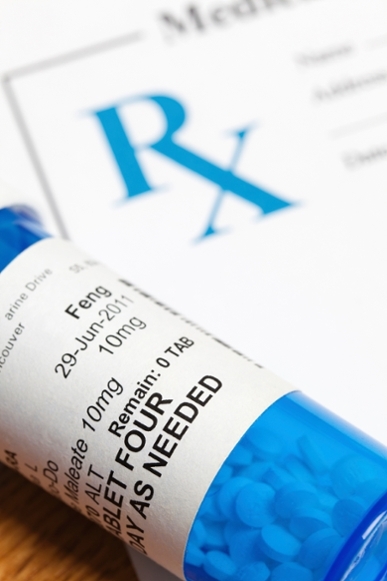 Prescription medications can interact with other prescription medications, over-the-counter medications and natural products such as herbal remedies or dietary supplements. “All of these factors can mean a prescription medication that is safe for you could cause serious harm to a loved-one,” says Crouch. Also, sometimes you just may not need a pill at all. “If you have a virus an antibiotic won’t help,” she adds.